This public forest land proximity to the large metro region of Los Angeles can make it a haven for weary city dwellers needing a quick escape. Sport cars, motorcyles, RVs and tourists all drive these winding highways. Be warned that the valley views are often hindered by dense smog rising up from the coastal basin below. However, on a windy, sunny and clear spring day, it can make L.A. county look almost like paradise with ocean views seen from 100 miles away. Fire restrictions are often extremely high in these parts, so open back country campfires are seldom allowed. It is rumored that this is one of the largest 'dead body dumping grounds' on the west coast, but what do you expect from a metropolis like LA. Sorry guys! No primitive or open car camping on back roads is allowed in Angeles National Forest due to population & high fire danger. 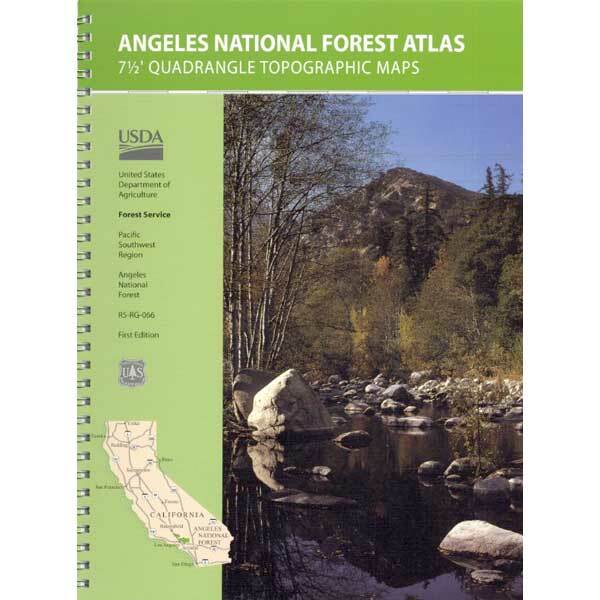 Backpacking or Campground camping only in Angeles Crest forests. 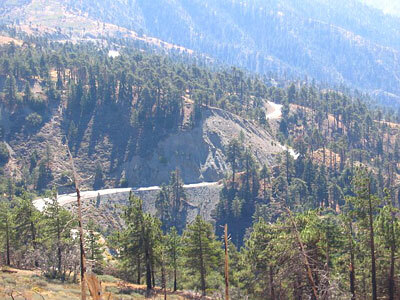 If you are looking for uncrowded small campgrounds, secluded camp sites & plenty more dirt roads to paradise, you hafta check out Los Padres National Forest - to the NORTH of Los Angeles, off I-5 @ Gorman or Frazier Park; Los Padres forest borders Kern County . Due to large urban area & city lights, star gazing Los Angles is not the best. There are some fantastic night views, over the Los Angeles Basin vast sparkling cities of lights, high above from the end of the Mount Wilson Road. 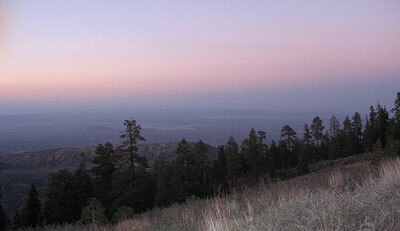 Best bet for night skies camping is Pacifico Campground.